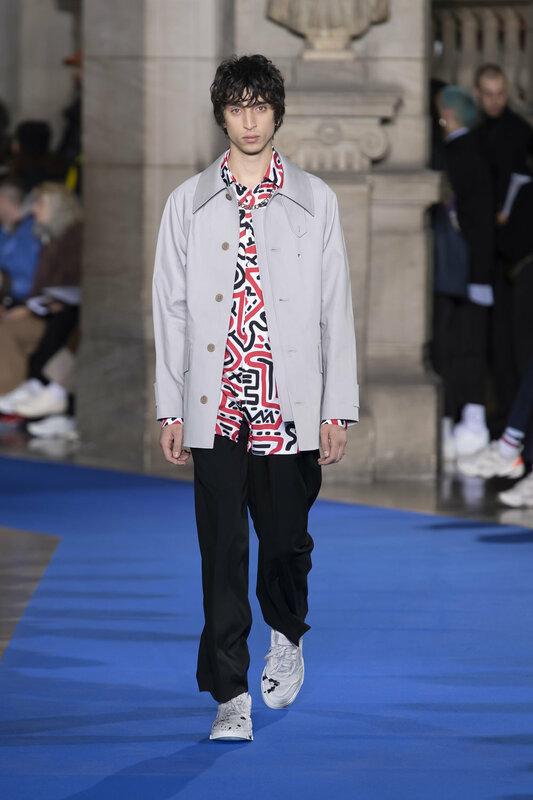 For their Fall 2019 collection, Études calls upon the graphic language of Keith Haring’s hieroglyphic chalk drawings as the collection’s key motif. In partnership with Artestar, works of Keith are featured as embroidered patches, screen-printing, knitwear and all-over digital prints in black, white and shots of bright red. 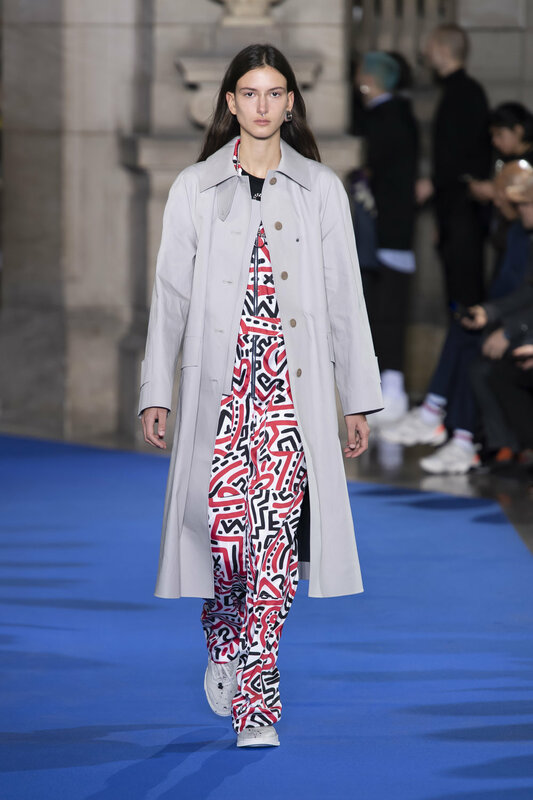 Referencing Haring’s seminal monograph Art in Transit, the collection is adorned with vintage New York City Transit licensed patches, creating a direct historical and geographic link with Haring’s beloved city.